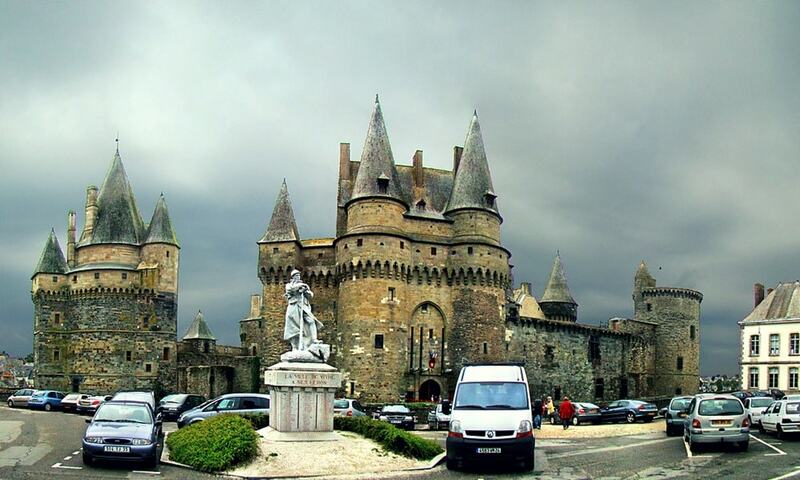 The first castle in Vitre was built of wood on a feudal motte around the year 1000 on the Sainte-Croix hill while the first stone castle was built by the baron Robert I of Vitre at the end of the 11th century. In 1872, it was one of the first castles in France to be classified as a monument historique and restored from 1875 under the direction of the architect Darcy. Today, the Vitre town hall stands inside the curtain wall, in a building reconstructed in 1912 following the plans of the medieval residence.